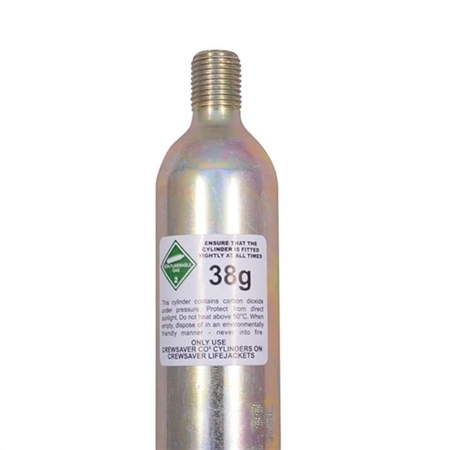 38g gas cylinder suitable for Crewsaver Crewfit 180 and Ergofit 190 manual Lifejackets. Consider giving your lifejacket a safety check; the RNLI perform safety checks for free and will offer advise on the current effectiveness of your lifejacket or whether servicing is required. This can be arranged by calling RNLI on 0800 3280600.